One of the most common and valuable medical diagnostic tools is radiography, or x-rays. X-rays are highly useful for screening areas of the body that have contrasting tissue densities or when evaluating solid tissues. 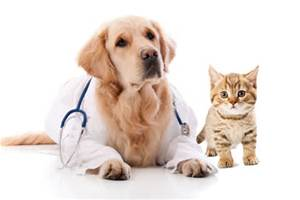 Our hospital is equipped to perform routine radiology services to identify many types of illness or injury when pets are sick or suffer a trauma. 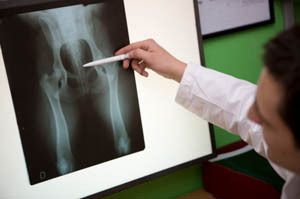 X-rays can be used to detect a variety of ailments, including arthritis, tumors, bladder and kidney stones, and lung abnormalities, including pneumonia. They are also used to evaluate bone damage, organ integrity, and to identify foreign objects that may have been ingested. Dental radiographs will help to distinguish between healthy teeth and those that may need to be extracted. Dental radiographs also help identify any abnormalities beneath the gum line, including root damage, tumors, and abscesses. Our veterinarians may recommend x-rays as a part of a diagnostic procedure if your pet is experiencing any health conditions or injury, or as a preventive measure in a routine senior wellness examination.